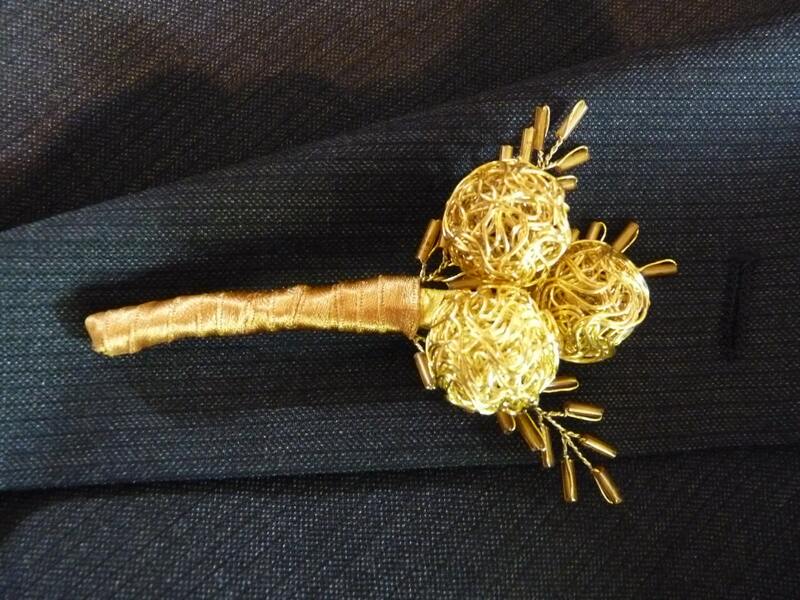 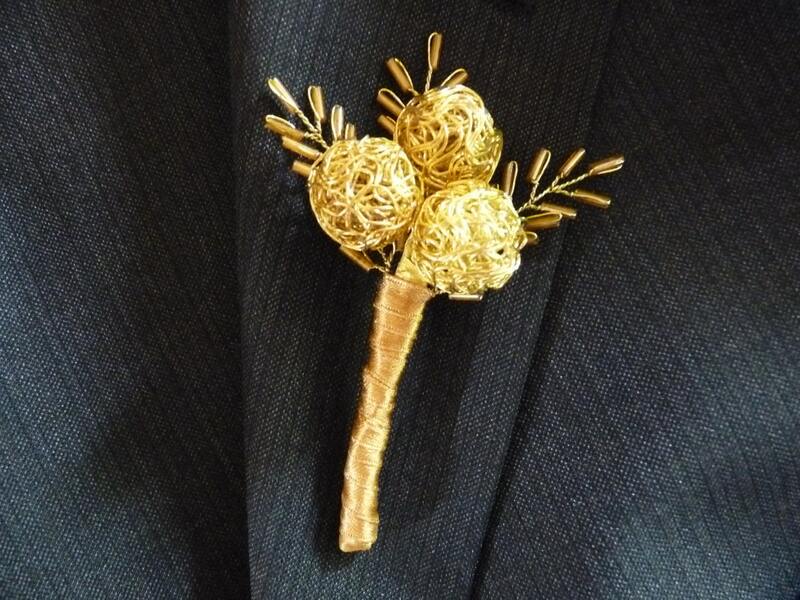 Modern gold wire bauble buttonhole, boutonniere for groom, best man, ushers, father of the bride with gold ribbon and seed bead leaves. 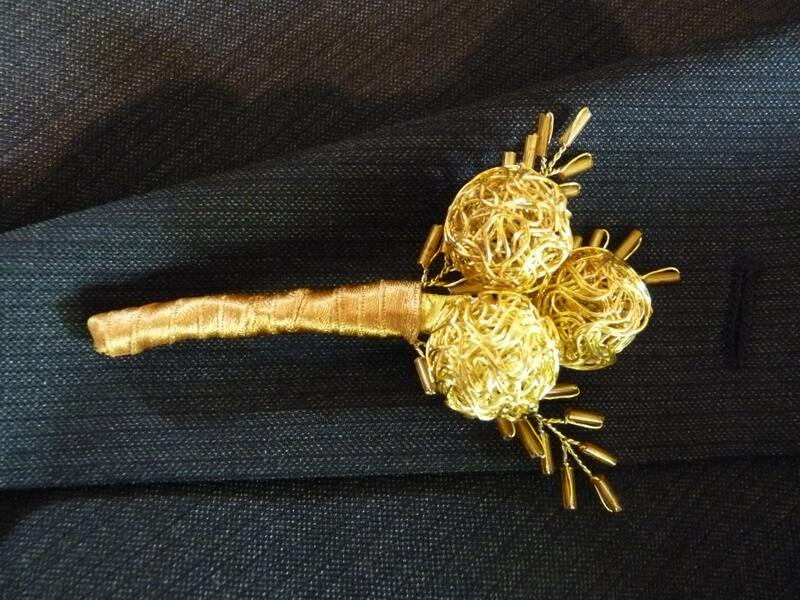 A modern simple boutonniere for your special day. 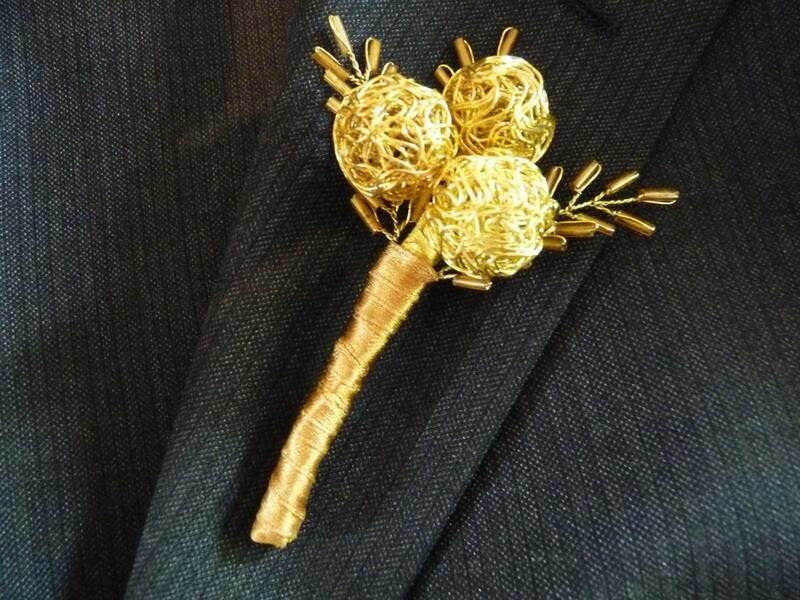 It is made from beautiful wired balls and finished off with gold ribbon and seed bead leaves.